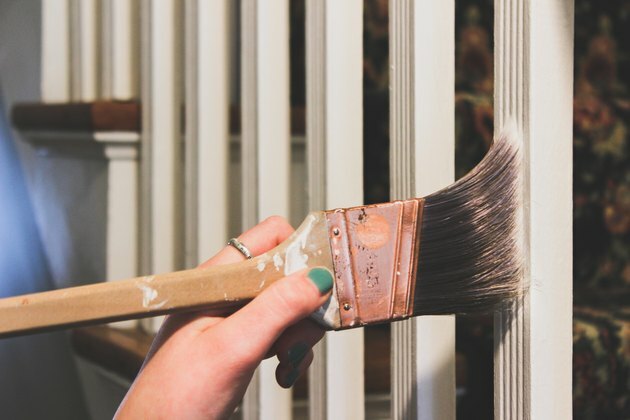 Wood finish is the classic look for banisters, but there are plenty of reasons why you might want to paint one instead. Sometimes it's already painted, and stripping it will be too much work. Sometimes it's made of an inferior wood that doesn't look good bare. If the handrail is outdoors, there are also weather issues to consider. 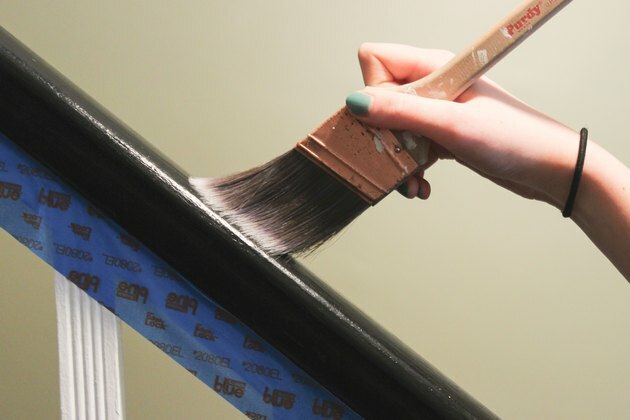 Use this guide to help make painting your banisters or railings a breeze. 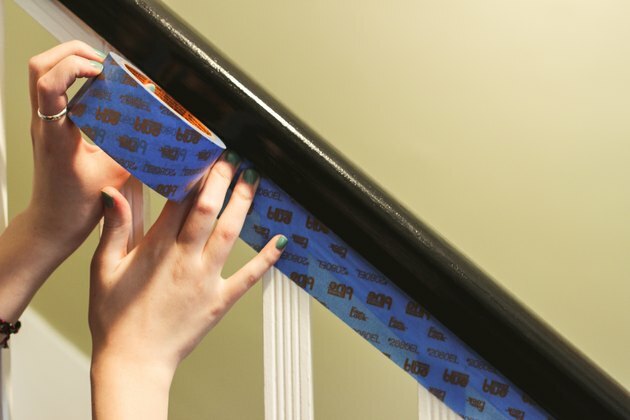 With painter's tape and newspaper, cover the area under the banister or railing. If you are painting the balusters (the vertical rods that hold up the handrail) then cover the area around the base of them. Otherwise, tape newspaper directly over the balusters and under the handrail. 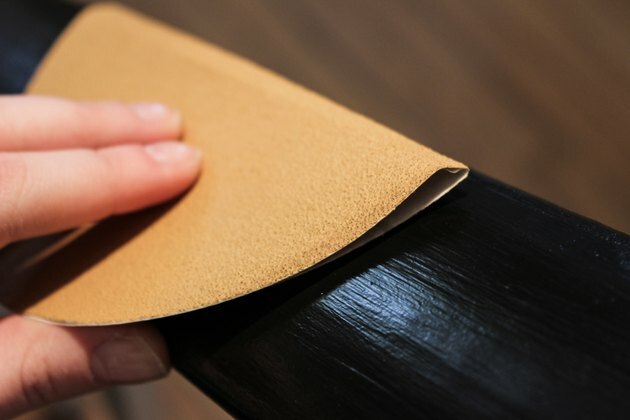 Lightly sand the banister to dull its existing finish then wipe it down with a slightly damp cloth, and then with a dry cloth. Begin painting at one end of the handrail, starting that the top of the stairs. 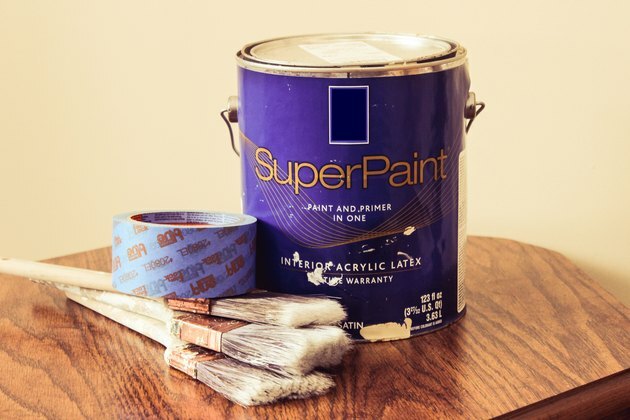 For each section of banister or railing, apply a generous amount of paint along the center of the handrail, then spread it along the length and width of it, finally taking it around the side and bottom. Let the first coat dry. Repeat with at least one more coat the next day. 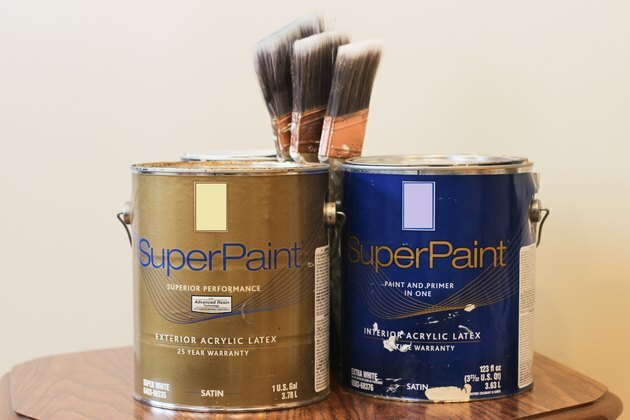 A third coat is generally recommended as well, because of the heavy wear that banisters get. For balusters, start painting at the top of each vertical piece and work your way down to the base. Work the brush's tip into any designs in the wood, making sure they are covered but that paint isn't pooling inside the shapes. Watch for drips. Paint all sides of each baluster before moving onto the next one.